Do I need to apply to host Get Golf Ready? No, there is no formal application process to host Get Golf Ready for golf professionals. To get started, simply decide that Get Golf Ready is the right adult introductory golf program for your facility’s overall player development strategy. There is no fixed pricing for Get Golf Ready, however $99 is the recommended price for a series of 5 introductory group lessons. However, this is just a guideline and you have flexibility to adjust to your specific product offering and facility needs. Some facilities charge as little as $50 for a mini-version of Get Golf Ready, while others charge $199. The key is to keep the program accessible and affordable. It’s recommended that you agree to provide clubs for any students who might not have them at first, free of charge. These customers would represent the perfect opportunity for a follow-up equipment sale after they have successfully completed your Get Golf Ready program. How many lessons should I offer? Again, Get Golf Ready maintains significant flexibility for each you and your facility. The program is advertised as 5 lessons, however some members shorten the program to 4 or extend it to 6. Ultimately, you’ll want to offer a series of group lessons which keeps the customer coming back to your facility and builds confidence and a sense of community. Your program should allow time to review the facility layout, cover the basics of the game and include an on-course component in each session. What curriculum should I teach? Again here, Get Golf Ready maintains flexibility to suit each golf professionals and facility’s specific needs. In general, Get Golf Ready should aim to build confidence and comfort for your customers. Get Golf Ready should acclimate students to your specific facility layout, cover the basics of golf (including putting, short game, full swing, how to play) and golf etiquette. It is also highly recommended that each lesson contain an on-course component. For specific curriculum and suggested lesson guides, review the Get Golf Ready Program Manual. How many classes should I schedule? 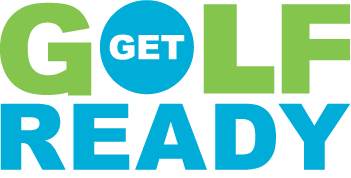 You should schedule your entire season of Get Golf Ready introductory events, including any exposure events or follow-up programming, in advance. More is better! When it comes to scheduling, providing customers with choice is critical to gaining their business. It’s recommended that you provide a multitude of options for customers to choose from, even if you don’t ultimately end up running all your events as scheduled. For example, provide a variety of programming on weekends, weekdays, mornings and afternoons. If you are unable to run a specific session due to low customer participation, you can still ask those who were interested in the class if another date/time works for them – whereas you may have missed that customer entirely if you hadn’t initially provided a convenient opportunity for them to learn the game at your facility. Regardless of the number of Get Golf Ready events you schedule, it is imperative that you schedule them in advance. It is simply not enough to say “yes, we do Get Golf Ready” when a customer asks about introductory clinics and not be able to offer any specific, structured opportunities. What's the best way to promote and market my Get Golf Ready events? The Marketing Resource Centercontains both physical and digital marketing materials for facility signage, community outreach and digital promotion. You can access both stock and customizable materials to print on your own, send to a local printer or send directly to your local Office Depot for PGA-partner preferred pricing. Each marketing piece you create should have a call-to-action. For full details on marketing and promotion of your player development activities, review this guide to facility signage, community outreach and digital promotion. How can I retain my Get Golf Ready graduates? How do I receive MSR credit? For every Get Golf Ready program your facility runs, with at least three students, you are eligible for 2 PGA Required MSR Creditss. For each three additional students in your Get Golf Ready program, another professional besides yourself is also eligible for 2 MSR Credits. You can self-report your Get Golf Ready MSRs here. John Newkirk, PGA– Director of Operations, Player Development via email at jnewkirk@pgahq.com or by phone at (561) 624-7617.